A generation ago, “Speed is not an issue” was a popular phrase in the pits. Speed in motocross circles is something you can’t see, but you wear with pride. No top rider wants to admit he’s not fast enough to win, so they work up all kinds of angles to avoid talking about speed. Maybe it’s bad starts, bad luck, bad lines, bad health, or just a bad day or week. Whatever the reason, not being fast enough is rarely the reason that a rider actually wasn’t fast enough. At least, that’s what they say. Isn’t it strange that speed is perhaps the most critical part of racing, but also the one mentioned least by riders? These days there’s less need for excuses. There are a lot of riders that really are fast enough, and races, series, and careers aren’t being determined just by lap times on a stopwatch. In the James Stewart/Ricky Carmichael days, we had an era where no one else could go fast enough to beat them, so speed was indeed everything. At the front of this year’s pack, plenty of riders have enough speed to get it done, but harnessing it consistently has become the separating factor. There are plenty of those riders around. Each week’s 250SX East Region race is a test to see who can actually turn their capable speed into actual results. Jimmy Decotis is fast, but needed to do some work on the fifteen-lap puzzle. Relative newcomers like Colt Nichols, Anthony Rodriguez, Jordon Smith, and Mitch Oldenburg have shown tremendous speed at times, but replicating it for fifteen laps without error has been difficult. Up in the 450s, the struggle is real. Eli Tomac, Ken Roczen and Trey Canard can all realistically say they’re fast enough to battle or beat Ryan Dungey. Dungey, though has run that pace on every lap of every race, all season. He can go that fast without crashing. Go fast without crashing: That, folks, is the very essence of success in racing. Go fast without crashing: A five-year-old watching his first race can understand the concept. It’s everything that every race everywhere boils down—how fast can you go while staying in control? Today’s Dungey challengers are stuck trying to match his consistency, not his speed. #RocMac had the speed—speed really wasn’t an issue for them—but they couldn’t hold it together. As I wrote earlier in the season, Dungey is The Bar. He sets it at a very high level and challenges you to clear it. It’s possible to get over The Bar at times, but doing it over and over is a tremendous challenge. Ryan Villopoto could get over The Bar, but he also missed a lot of time with injury. James Stewart? Chad Reed? Hot at times during Dungey’s six years on 450s, but it was never quite sustainable. Dungey doesn’t miss time, doesn’t miss races, doesn’t have off weekends—indoors or out. He brings 99-percent level speed and can hold it there forever without faltering. To match Dungey this year, you have to do the same. The challenge isn’t trying to go as fast as him; it’s going as fast for just as long. This is unfortunate for Dungey, though, because out-consistenting the pack doesn’t command the respect that out-fasting them does. You think of the badass terms in racing and they’re speed centric: Blew them away. Checked out. Pulled a gap. Pulled away. They imply you had speed no one else could match. But Dungey has mastered the ultimate art of racing—going fast without crashing. Simply being the fastest guy—full stop—might sound cooler. But doing it every week still means something. It should mean more. Consistency will never get the love speed does, and there are two reasons. 2) Crashes and injuries are often chalked up to bad luck. That might be true in some circumstances—certainly Trey Canard had nowhere to go this weekend, and his crash and injury were not his fault. Trey’s had a bunch of those. But that’s not always the case. To imply that crashing and getting hurt are just random, merely a turn on the wheel of racing luck, strips away the idea that there’s a skill inherent to not crashing and not getting hurt. Dungey has missed about a half-dozen pro races in his entire career due to injury. That isn’t just good luck. That’s a skill. Remember this when you’re watching a group of new kids with incredible speed. If they crash and get hurt, the words will be, “He’s fast but he needs to figure out how to keep it on two wheels.” Well, going fast and crashing are connected. One often leads to another. It’s a noble goal to hope a rider can keep the speed and ditch the crashing, but it’s not that simple. In racing, going faster means less control, which means more crashing. Going fast is often the very reason they crash. Five-year-olds can understand that. With that understanding, you can see how remarkable Dungey is. He manages to go that fast—one of the fastest, if not the fastest guy, each week—and never, ever crash. He just doesn’t crash! We hardly ever see it happen, and when it does they’re not of the highlight variety. Further, Ryan’s not the greatest starter, but he’s never terrible, either. His starts are just like the rest of his riding—never bad, not awe-inspiring, but always effective. Even if he doesn’t get the holeshot, at least he’s not mired in the back where all the chaos goes on. Also, make no mistake about this: Ryan Dungey is fast. Solid, strong, consistent, yes, but if he didn’t have front-line speed in the first place, it wouldn’t matter. At this stage of his career, Nick Wey is also solid, strong, and consistent. Andrew Short is solid. 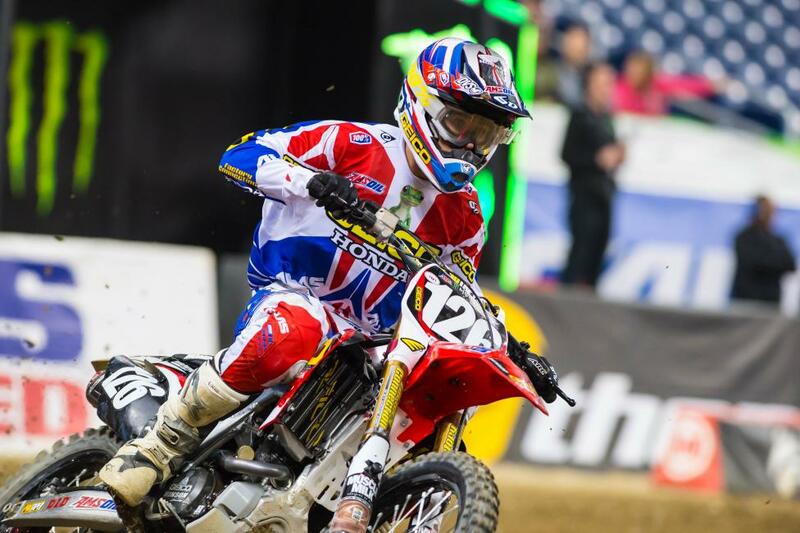 Justin Brayton is solid. 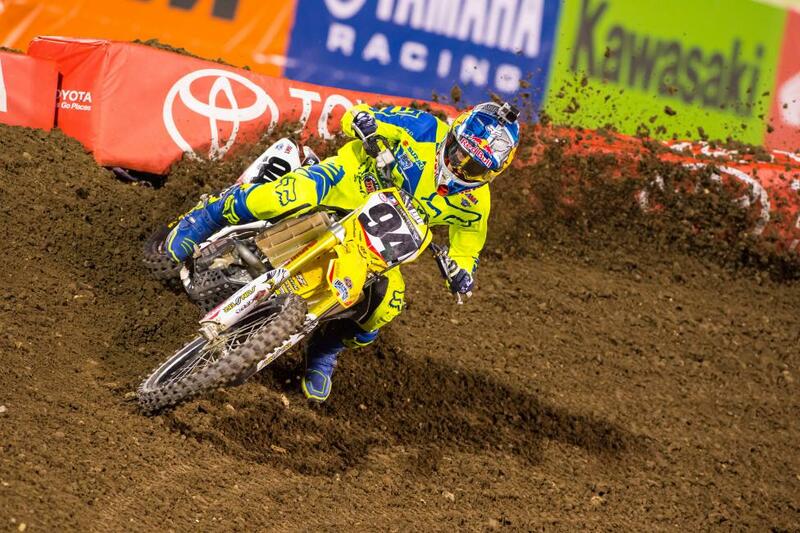 Broc Tickle is solid. They have yet to match up to Dungey-level speed on a consistent basis. You can count on one hand the riders on this earth that have Dungey’s speed. Everyone else would kill for it—and sometimes they hurt themselves trying to do it. Consistency has been Eli Tomac's greatest foe—not Ryan Dungey. "There have been multiple races where I've been the fastest guy for one lap or in the heat race," Eli Tomac said after his win on Saturday night. 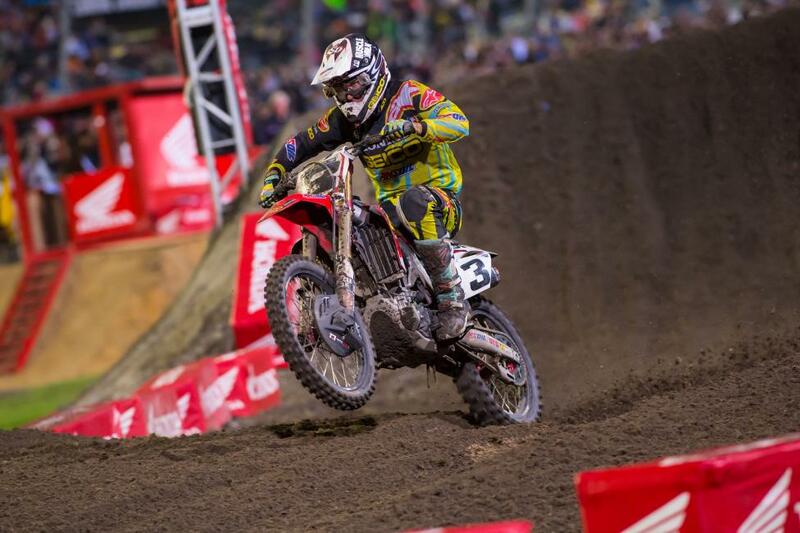 "But for the main events, I've struggled, and Dungey's been the fastest for the twenty laps. For me to finally put all twenty laps together and click those fast laps off, it's refreshing." The quote is Tomac’s, but that could have come from several riders this year. Even the way Tomac won in Detroit proves the point. He not only started hucking a quad; he did it, landed, and still nailed the inside line in the following corner to make the pass. Dungey did the jump, too, but Tomac had the skill to do it even better. Speed, skills, and talent aren’t an issue for the guys chasing Dungey. But Ryan’s not going to lose this speed/consistency combo anytime soon. His longevity and never-ending desire are just remarkable. No breaks, no slacking, no burnout, ever. Going fast without crashing. It’s simply that simple. Right, kids?